And now it’s time to implement a cutting phase to strip off the excess fat and carve out that lean, defined physique you’ve been working towards. Great, but how should you structure your training and nutrition approach in order to lose fat without losing muscle, so that your hard-earned gains remain intact? Building quality muscle certainly requires a good deal of hard work and patience (not to mention that it happens a lot more slowly than fat loss does), so it’s understandable why you might be concerned about this. 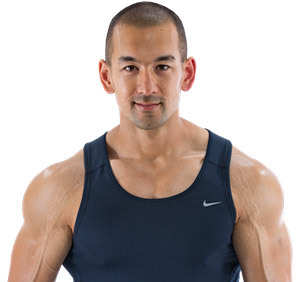 Fortunately, losing fat without losing muscle is actually quite straightforward, and in this post I’ll be outlining the few simple steps you’ll need to follow in order to accomplish exactly that. Employ these tips and you likely won’t lose much muscle if any at all, and if you’re a complete beginner then you may actually gain some muscle at the same time that you’re dropping the fat. Tip #1: Do Not Alter Your Weight Training Plan. If you want to burn fat and maintain muscle as effectively as possible, you’ll want to make sure that your basic weight training approach remains the same as it was when you were aiming to gain muscle. You can reduce the overall training volume slightly, but don’t make the common mistake of switching to a “light weight/high rep” plan (as well as incorporating a greater number of isolation exercises) in an effort to somehow bring out more “definition” and “separation” in your muscles. In reality, altering your workout plan in this way is completely misguided and will actually increase the chances of muscle loss throughout your fat loss phase. Always remember that you cannot “spot reduce” fat loss from specific areas of your body by training those areas with weights. Resistance training targets only the muscles that are involved in the exercise and NOT the fat surrounding that area. Fat loss only occurs on a total-body scale as you keep yourself in a calorie deficit over time. As the weeks go by you’ll lose fat from everywhere (thus increasing your “muscle definition”), but you have no control over the specific way in which your body breaks that fat down for use. Every time you perform a weight training workout, your goal is simple: to provide the most powerful stimulus to your muscles possible. 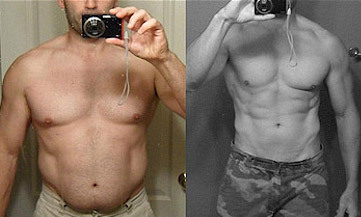 And this is achieved using the exact same principles you were using during your bulking phase. Training with a sufficient level of intensity by performing each set about 1-2 reps short of muscular failure. Centering your workouts around the basic, fundamental compound movements. Keeping your reps within the standard hypertrophy range of 5-12 per set. Maintaining an adequate rest time between sets of around 1.5-3 minutes in order to keep training performance maximized. Following all of these basic steps will give your body the proper incentive it needs to hold onto its existing muscle mass despite being in a calorie deficit. Altering your plan with lighter weights, higher reps, more isolation movements and shorter rest periods is only going to weaken the training stimulus on your muscles and have the opposite effect that you’re striving for. 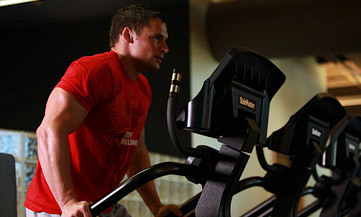 Tip #2: Don’t Over-Emphasize Cardio. If you’re creating a proper calorie deficit through your diet and are sticking to an intensive weight training plan, there’s really no need to perform huge amounts of cardio to get the results you’re after. Yes, cardio is a useful tool for burning additional calories and promoting a variety of physical and mental benefits, but going overboard can impair workout recovery and increase your total calorie deficit to an excessive level that may promote muscle loss. 2-3 weekly cardio sessions is a good basic starting point for most people, and you should only throw in additional sessions later on if your rate of fat loss stalls and it becomes necessary. You’ll also want to space your cardio sessions away from your weight training sessions whenever possible, with a 6-8 hour gap being ideal. That could mean cardio in the morning and weight training in the evening… weight training in the morning and cardio in the evening… or just scheduling them on different days altogether. If you do want to combine them because you have a busy schedule and want to be as time-efficient as possible, always perform cardio after your weight training workout is over. Weight training should always be treated as the number one priority if you want to lose fat without losing muscle, and you don’t want to enter your weight training workout already pre-fatigued from a full cardio session. As a final note, the amount of cardio you’ll require also depends on what your activity level is like outside of the gym. If you work a physically demanding job or have other active hobbies throughout your week (such as outdoor activities or sports) then traditional “gym cardio” will be of less importance and can even be eliminated altogether in some cases. Tip #1: Keep The Size Of Your Calorie Deficit On The Moderate Side. In order to lose body fat, you must consistently take in fewer calories than you burn. This creates the necessary calorie deficit needed to stimulate your body to burn fat as a source of fuel. However, this has to be carried out with caution. Although a calorie deficit is a mandatory pre-requisite for fat loss, trying to speed up the process by using a very large deficit is rarely a good idea. Larger calorie deficits can be okay for some people in the short term, but for most individuals, aggressive deficits will quickly result in significantly lowered training performance, energy levels, mood and appetite control, and in turn will increase the chances of excessive muscle loss. A much better approach for most dieters is to stick with only a moderate calorie deficit of about 500 calories below maintenance level, with a focus on losing fat at a gradual pace of about 1-2 pounds per week. This calorie deficit and rate of fat loss are large enough to produce significant ongoing results, but small enough that the majority of your muscle will be left intact. If you don’t know your current calorie maintenance level, you can roughly estimate it by multiplying your body weight in pounds by 14-16, going with the higher or lower end depending on your overall activity level. Lean mass simply refers to any type of body weight that is NOT fat. So, if you weighed 200 pounds with 25% body fat, you’d be carrying 50 pounds of fat and 150 pounds of lean mass. This will give you your calorie maintenance level, and you’ll then simply subtract 500 calories from that to calculate how much you should eat per day. Treat whatever caloric figure you end up with as an initial starting point, and then measure your weekly weight loss. From there, increase or decrease it if necessary until you’re consistently landing in the appropriate weekly weight loss range. 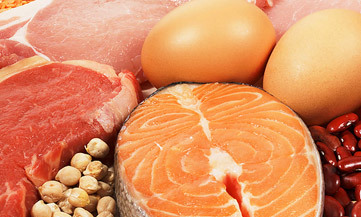 Tip #2: Make Sure To Consume Sufficient Daily Protein And Fat. Protein is important for the obvious reason that it is responsible for the building and maintenance of lean muscle tissue. 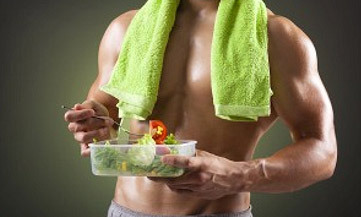 If protein intake drops too low, you won’t maintain muscle at your maximum capacity throughout your cut. In order to burn fat and maintain muscle optimally, make sure to consume between 0.8-1 gram of protein per pound of body weight daily. 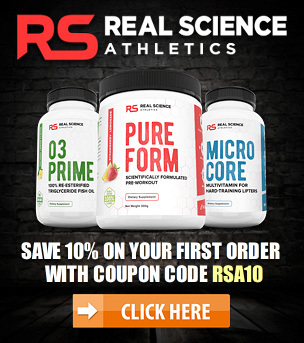 Anywhere within this range will likely be enough to eliminate any concern of muscle loss, and if you want to be fully on the safe side then just go with the upper figure of 1 gram per pound. I wouldn’t recommend going much beyond this amount though, as any more than 1 gram is almost certainly unnecessary and could even be potentially counter-productive. The more protein you eat beyond what you actually require, the fewer carbohydrates you’ll be able to fit into your daily calorie totals, and this could prevent you from maximizing your energy levels, mood and focus throughout your fat loss phase since carbs play a central role in these factors. Also keep in mind that the idea that lifters require more protein while cutting is not necessarily true. This is because you only require enough protein to maintain your existing muscle mass when cutting, whereas during a bulking phase you require protein both for maintenance and for building additional tissue. In any case, 0.8-1 gram of protein per pound of body weight daily is what I’d recommend aiming for. Don’t forget about fat intake either, as dietary fat plays a key role in keeping testosterone levels elevated and also prevents negative effects on mood and appetite which may impact your training performance. 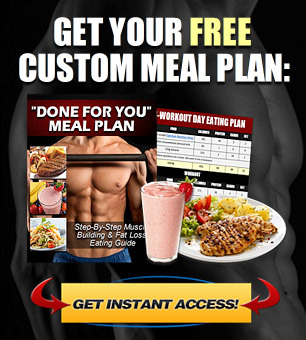 A good guideline here is to get around 25% of your total daily calorie intake from fat. In order to calculate this, just take your daily calorie intake and multiply it by 0.25. Then, since fat contains 9 calories per gram, divide that number by 9 in order to get your daily grams of fat. 20% of total calories from fat would be the minimum, and I wouldn’t recommend going below this for any extended period of time. 1) Do not alter your weight training plan by switching to lighter weight/higher reps, using additional isolation exercises, or shortening your rest periods between sets. Keep all of the basic principles the same as they were during your muscle building phase in order to maximize muscle stimulation and minimize muscle loss. 2) Keep your cardio frequency on the moderate side by starting off with 2-3 weekly sessions spaced 6-8 hours away from your weight training workouts. Only increase the amount of cardio later on if your rate of fat loss stalls and you don’t want to reduce your calorie intake any further. 4) Ensure that you’re consuming between 0.8-1g of protein per pound of body weight daily, and that around 25% of your total calories are being derived from dietary fat. 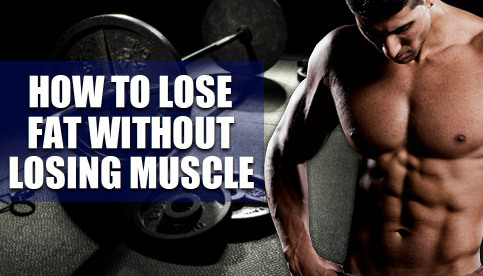 If you want to burn fat without losing muscle, these are the 4 most important steps to follow.